Sending employees abroad for work should be, largely, be straight forward. But for the real nitty gritty parts of voyaging overseas, and especially when it comes to business travel, most of the small but crucial details can get neglected. 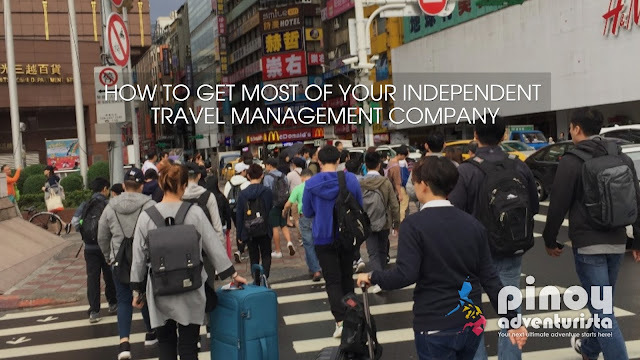 If you think an independent travel management company could be just the thing for you, here are the things you need to look for in your perfect provider. known to the travel management company, and the best ones will make sure you won’t come across any nasty surprises at the end of the year. A good company will also help keep you on track by regularly checking your figures and adjusting accordingly so that you don’t have to worry about this sort of thing when the accounts come through. Tapping into their contacts and experience in order to get the most appropriate travel solutions for your needs is one of the biggest advantages to going with a management company. They will inevitably have established working relationships with suppliers which means they can work on negotiating for the preferred rates and fares for you, saving you both money and time. It’s vital to know where your employees are at any moment when they’re travelling abroad for business. A good travel management company will be able to offer you peace of mind through management information and online tracking tools that will alert employers in case of emergencies within a matter of seconds – even better if they have a crisis management team to handle any scenarios requiring urgent contact or necessary alternative arrangements. Dealing with the influx of travel spend, expenses and invoices associated with business abroad can be a headache, especially when there are lots of employees to deal with at the same time. Having a company on hand to reconcile and consolidate invoices will help with internal efficiency cost savings and give you a better insight into, and control of your travel spend – it’s often also possible to track employee spending while travelling with the help of user-friendly software and reporting tools. , so you can be sure you’re dealing with a business that truly cares about your needs, tailors their services to your organisation, and goes beyond the call of duty to ensure that you have everything you need at your fingertips.